As we head into the fourth year of a severe drought, evidently the wildflowers find there’s been enough rain at the right time to bloom. Throughout the Bay Area the wildflowers are prime for viewing right now. Carpets of Ithuriel’s Spear and California Poppies with splashes of Owl’s Clover are decorating the green hills. The bush lupine are in bloom with spikes of purple or lavender flowers rising above the grassland and chaparral. 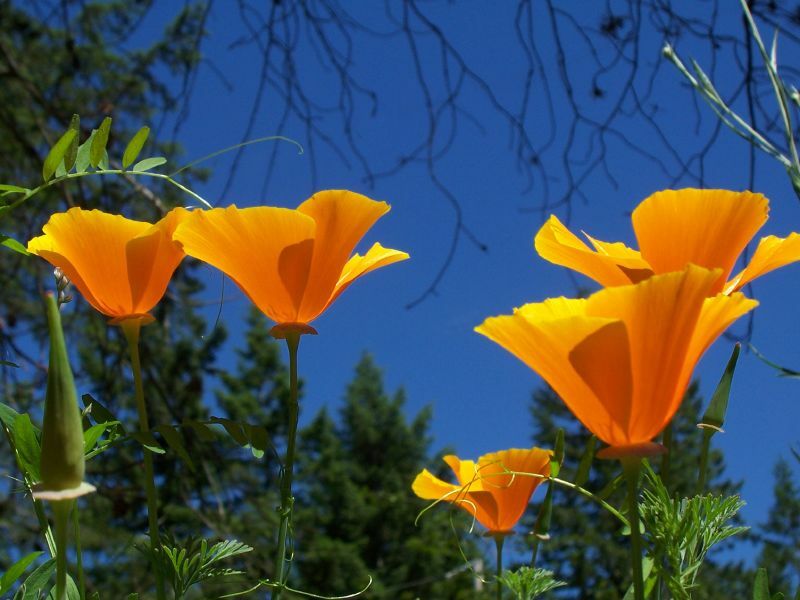 The drought may actually be helping wildflowers. They compete with the plants from other areas for water, real estate, sunlight, and nutrients so in harsher conditions the native species oftentimes are better adapted. A wildfire often produces a similar phenomenon by wiping out competing vegetation, and leaving the native wildflowers to put on an extraordinary show. 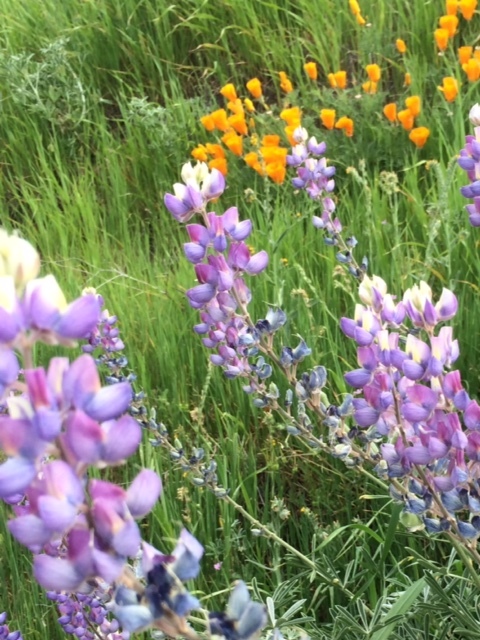 Bay Nature Institute just published an article this week, "Second Spring," tracking the second-year of wildflower blooms after the Mount Diablo fire. The blooming season may be shorter lived than during a normal rainfall year, though, so don’t delay getting out to enjoy them. Denise Defreese, the EBRPD’s Wildland Vegetation Manager, recommends, “eastern area parks to see wildflowers and native grasses, Morgan Territory, Sunol/Ohlone, Del Valle, Contra Loma, Black Diamond or visit Round Valley (sorry no dogs allowed) or Brushy Peak to see the vernal pool of Frick Lake (dogs required to be on leash only).” You can enjoy a variety of naturalist led trips to see the wildflowers and also join us for the Sunol Wildflower Festival on April 18. you can also find links to the regional parks photo guides to identify wildflowers in the parks on the event webpage. There are many other parks all around the Bay Area to enjoy the colorful show and a long list of favorite flower hikes can be found at Natural History Wanderings. 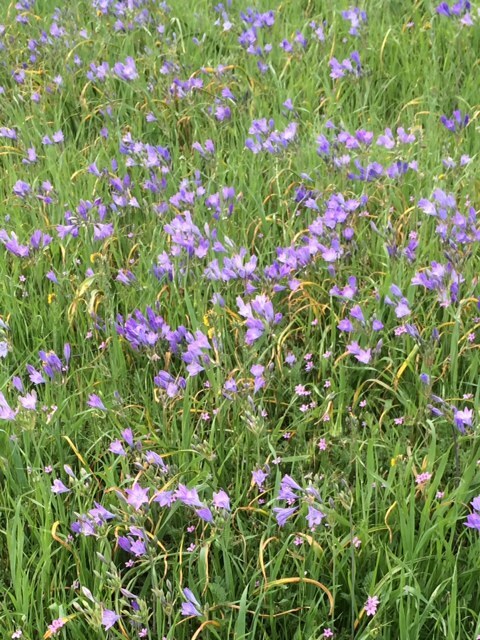 You can read my previous blog, "Bay Area Wildflowers are Waking Up," from 2012 which includes links about wildflower identification.